This smashing Roberto Coin link bracelet is part of the Designer Gold collection. 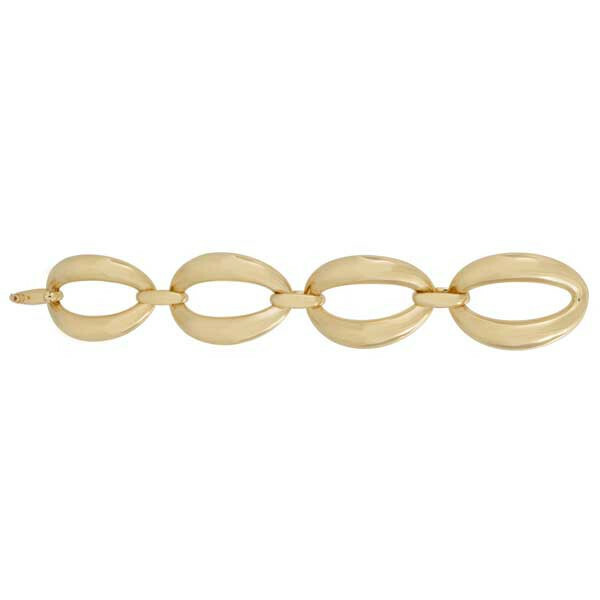 Four oval-shaped links are forged in 18kt yellow gold, and small bars join the links together. Even the bar-shaped clasp keeps this piece streamlined. You'll love the look of this Roberto Coin bracelet for any outfit in your wardrobe.